With election season upon us, whether you vote Democrat, Republican or Independent, 5miles has all your 2016 election memorabilia needs covered. Check out our list of awesome election items now being offered on the app! Get ready to take a bite into this deal. 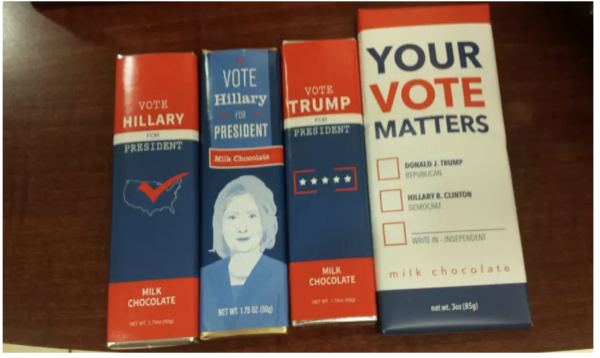 Now you can cast your vote in chocolate. Democracy never tasted so good! An assortment for only $25. Is the election news beating you down? 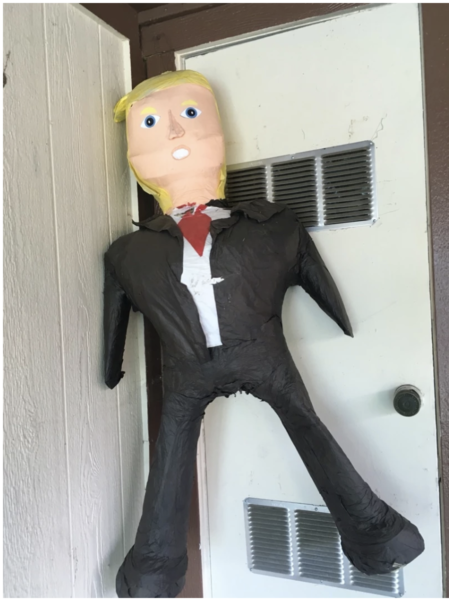 Beat it back with this piñata! Crafted and sold for only $20 here on the app! Here’s another way to “stick” it to the election. 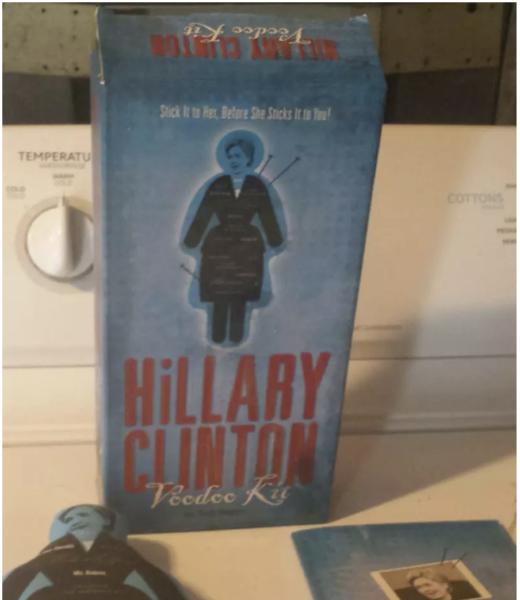 Take out your frustration out on this Hillary Clinton Voodoo doll sold on the app for only $45. Are you a collector? 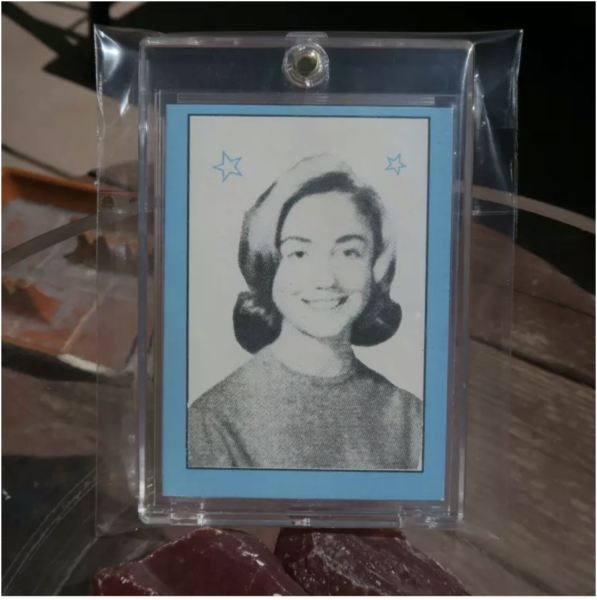 Check out this rare 1993 Hillary Clinton high school “rookie” card. The card is in mint condition and comes in a protective case. $150. Are you a sucker for nostalgia? 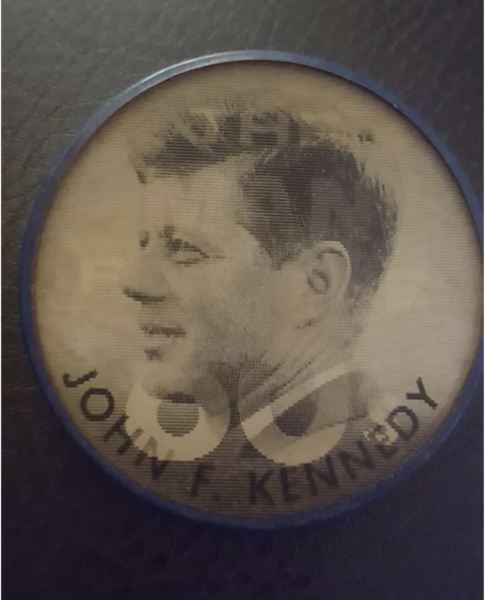 We found this vintage JFK election button for only $35. Happy election season and don’t forget to vote November 8th! Vote for ___! Who knew 5miles had candidate memorabilia galore? Happy Election Day!! Don’t forget to Vote. 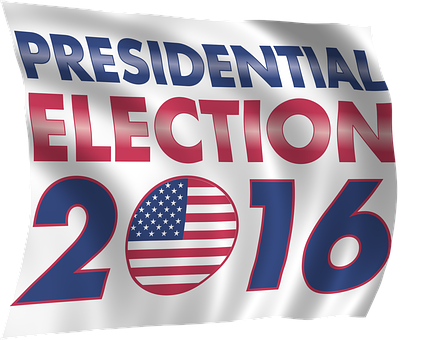 ← Temporary Workers needed for the upcoming 2016 Elections.